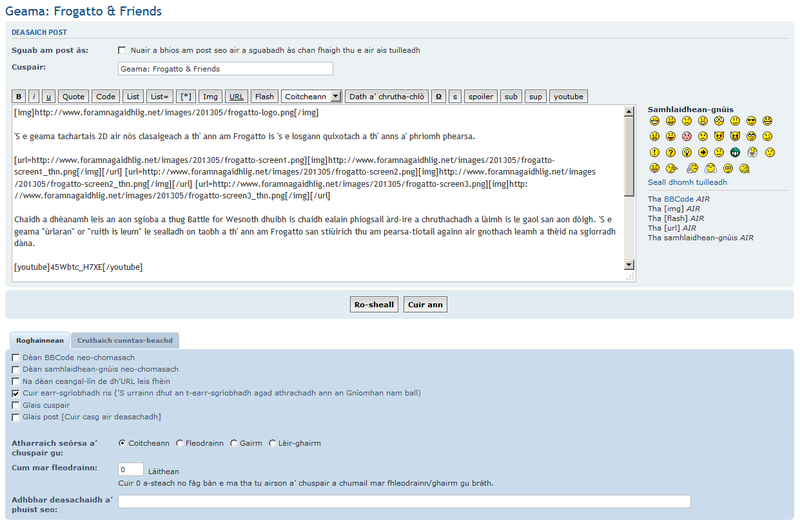 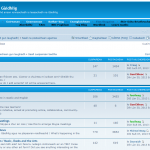 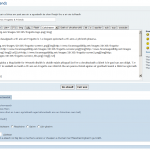 phpBB is web-forum software (BB stands for bulletin board). 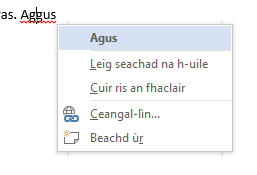 If you look at Fòram na Gàidhlig, you’ll see what it looks like, broadly. 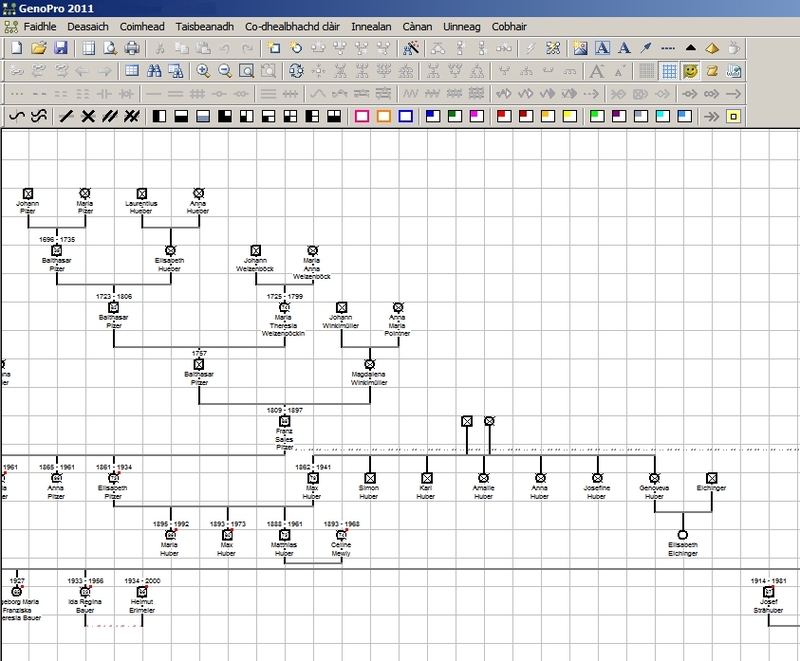 The design of course can be altered. 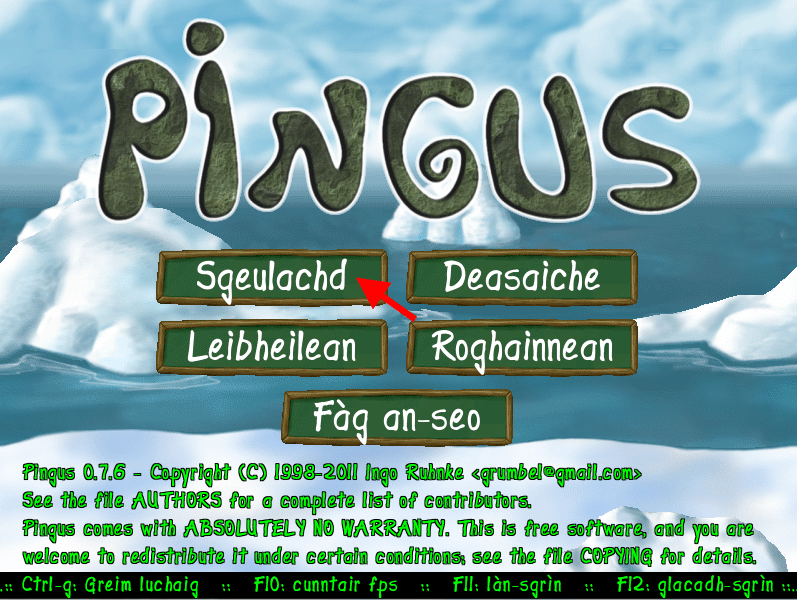 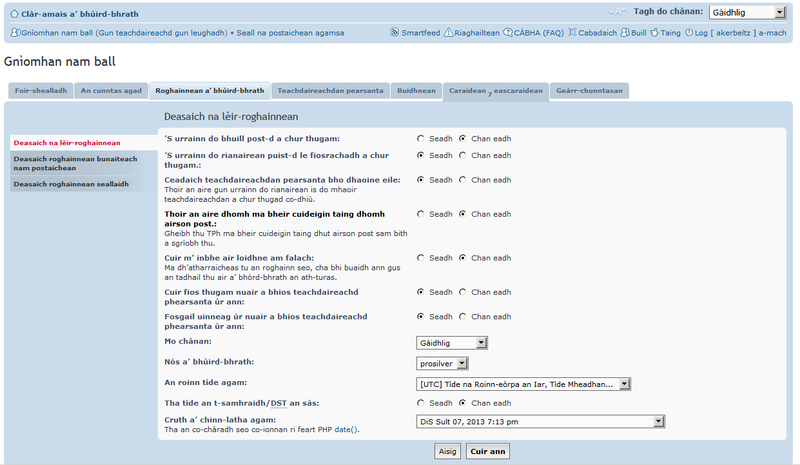 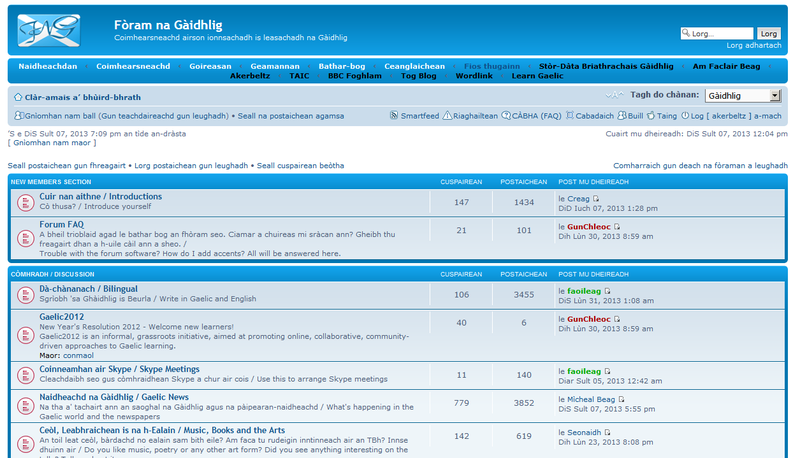 There are language packs if you want an all-Gaelic or Gaelic & English bilingual forum. 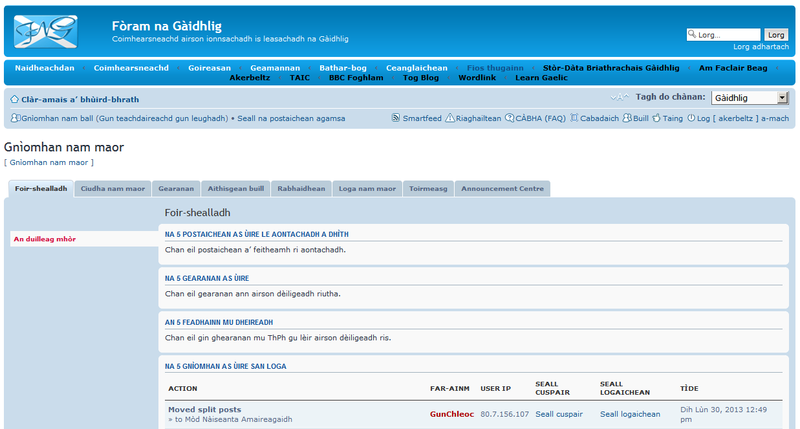 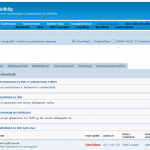 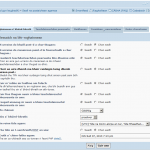 Download phpBB here – you have to install it first before you can add languages packs, which you get here.